Why use Berea, OH Property Management company? Why use a Berea, OH Property Management professional property management company? Consider the following. You can feel secure as you use our Berea professional services which work as a system to protect you while maximizing your return on your income property. Landlord clients have reduced risk with our leasing and tenant guarantees as well as our easy out agreement. Save money and get your house leased quickly with our professional videos, pictures and descriptions being exposed on 100s of websites and way more. Realty Trust Services 7 point screening process gives landlords the best possible chance of getting a great paying resident. Rely on our knowledge to most efficiently prepare your house for rent and select an ideal rental rate. Landlords can rest easy, and get an uninterrupted night’s rest, knowing our 24 x 7 take that midnight call and dispatch help as necessary. Be in the know and head off potential problems before with exhaustive property walk through video reports. We handle all bothersome collection and emotionally draining collections calls so focus on family and business. No stress this year when you prepare your taxes because all of the reports will be neatly delivered with your 1099. You have the option to rent, lease option and / or sell your home, simultaneously, if you want. The county auditor may impose upon any person who violates this section a special assessment on the residential rental property that is the subject of the violation that is not less than fifty dollars or more than one hundred fifty dollars. Such special assessment may be appealed to the county board of revision. http://codes.ohio.gov/orc/5323.99 Ohio Revised Code Rental Registration Law: http://codes.ohio.gov/orc/5323. How to go about changing the address on tax bills: First, go to their website treasurer.cuyahogacounty.us. Second, find in the middle of the page forms or links for a change of address. Lastly, once information is submitted, the change will take approximately 24 hours to become in effect. Or http://rtsl.us/psr- will take you right to the form that you need to electronically submit. Link to Abandon Residential Property Registration http://rtsl.us/psra, Link to Notice of Forclosure http://rtsl.us/psrd, Link to Leasing Permit http://rtsl.us/psrf, Link to Multi-Family Occupancy Permit http://rtsl.us/psrg. All multiple family dwellings require a Certificate of Occupancy. Certificates of Occupancy are required on a yearly basis. All Certificates of Occupancy expire on December 31st of each year. In order to acquire a Certificate of Occupancy you will need to complete an application, pay the applicable fee, and schedule an inspection. The application fee is $15 per dwelling unit with a cap of $800. Inspections are required once every year. If non-life threatening violations are found during the inspection, a Temporary Certificate of Occupancy will be issued. This will be valid for a short period of time (30, 60, 90 days). During this time period, the property owner should work to repair all of the violations. Temporary Certificates of Occupancy allow occupancy even when violations are found. Once all violations have been repaired, the owner is to call the Building Department for a re-inspection. If no violations are found during the re-inspection, a Certificate of Occupancy will then be issued. If a life threatening violation is found during the inspection, no occupancy will be permitted until the violation has been repaired. Also, owners of all one and two family residential dwellings in the R-SF-A and R-SF-B zoning districts must obtain a Leasing Permit prior to allowing occupancy of a dwelling unit by a non-owner when the owner does not live in the dwelling. Berea is a city in Cuyahoga in the west suburbs of Cleveland. It is the home of Baldwin Wallace University and The Cleveland Browns training site. 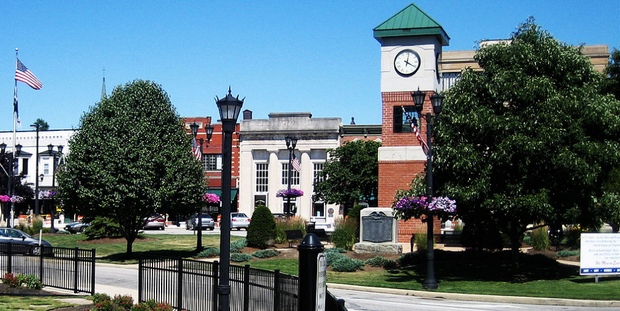 According to the 2012 census, there are about 18,980 people residing in Berea. The city was founded by Henry O’ Sheldon but named from John Baldwin. The town is known for its grindstones. The zip code is 4017 and the area code is 440.